Here we go! Our new hero Aigerim Issentayeva! 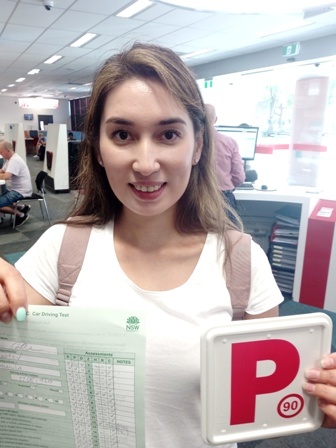 She has passed her driving test on the first attempt at Botany RMS this arvo. 96.2% performance mark! Terrific results! Our congrats to Aigerim on her great achievement!